It all started on Instagram. I saw a picture of the most delicious looking cheesecake I’ve ever seen, and I knew I had to make it. 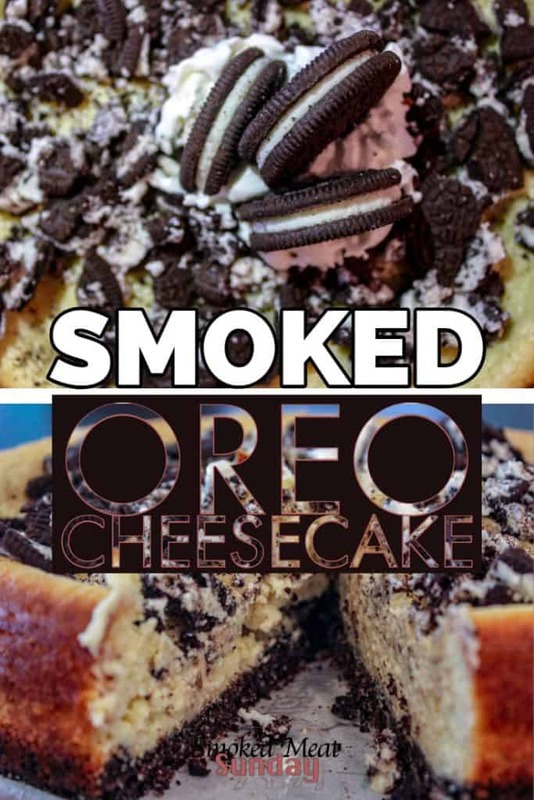 I have a weakness for cheesecake, and now, I have an even greater weakness for smoked oreo cheesecake. 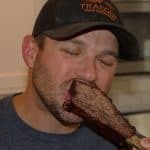 If you make ONE dessert in your smoker this year. THIS IS THE ONE YOU SHOULD MAKE. Seriously. It’s the best. There are a few reasons I love this cheesecake. First, it’s the first cheesecake I’ve made that has turned out perfect. I’ve tried making cheesecakes before – never on my smoker – and they always came out a little blah. Not this time. This oreo cheesecake was incredible. The crust had the perfect texture. 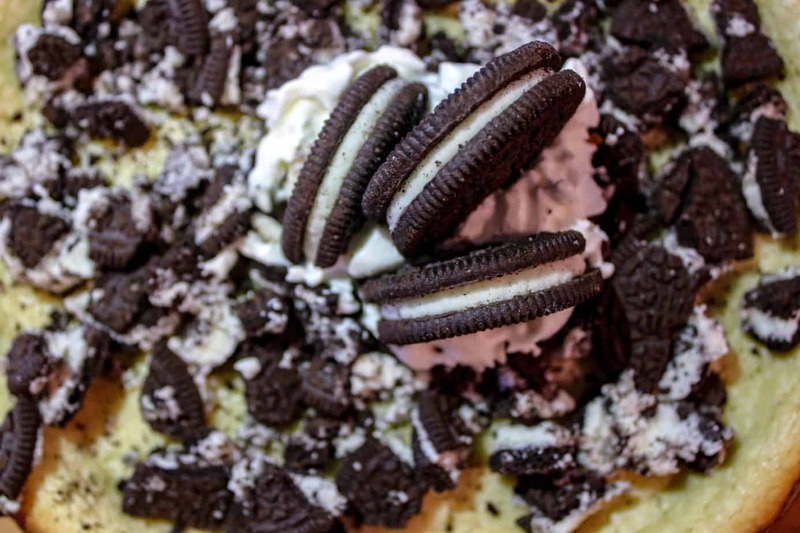 And the filling… it’s made with the cream from Oreo cookies. How can you beat that?! I’ll tell you how. You can’t. Is it hard to make Oreo Cheesecake? Well… it’s easy to make this cheesecake, but it does take some time. For some reason, I remembered taking the filling out of Oreo cookies when I was little and then eating the filling first, followed by the cookie. I don’t remember breaking the cookie every single time. That happened when I was farming the oreo filling for this recipe. I think in a whole package of Oreos maybe one cookie didn’t break. ONE. A little side note. Every now and then I make really poor decisions. A while back my CrossFit gym had an Oreo Challenge, where you had to row 200 meters and then eat 2 Oreos within two minutes, for 10 rounds… After that day I decided I wasn’t going to eat Oreos again. 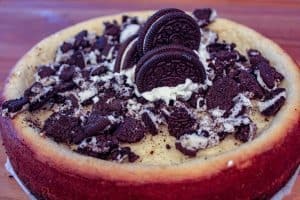 Despite that terrible experience, I still love this smoked oreo cheesecake recipe. I really don’t take any credit for this recipe. All of my inspiration came from Salt N Copper. If you haven’t checked out her site, you should. 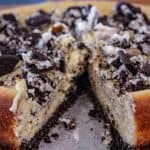 She has some incredible recipes and content. This really is a simple recipe, but there are a few things you’ll need to get started. I didn’t have a springform pan, so I had to go out and buy one of those. Also, make sure you have parchment paper. If you don’t have parchment paper, your crust WILL stick to the bottom of the pan. You’ll also need to get one whole package of Mega Stuffed Oreos, a block of cream cheese, milk, eggs, flour, sugar, butter, and vanilla. Have you made a cheesecake on your smoker? What are you waiting for?! It’s the best thing you’ll make this year. I can almost guarantee it. The best dessert I've made on my smoker. HANDS DOWN. 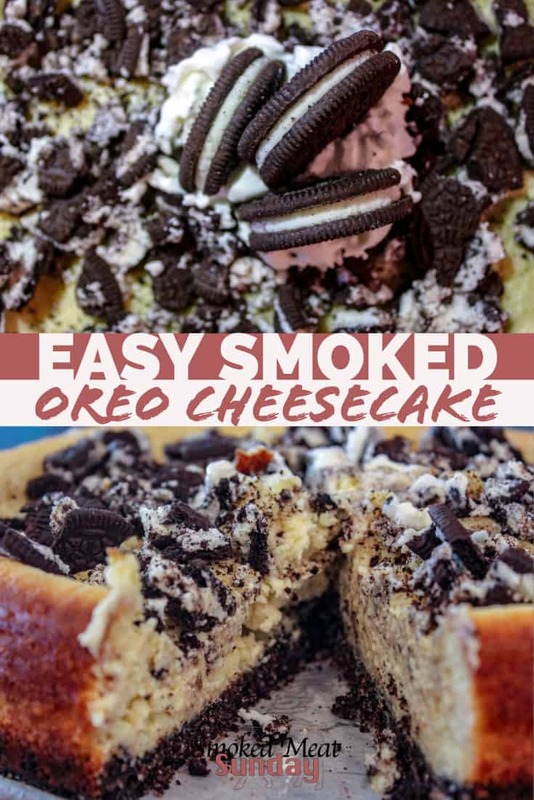 Smoked Oreo Cheesecake is easy to make, and is the perfect finish to any barbecue meal. Make sure you make this cheesecake in advance of when you'd like to serve. After it smokes you'll want to let it cool in the refrigerator for at least 3 hours. 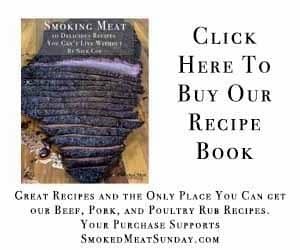 Smoke at 350 degrees for approx 60 minutes.